Our new NP Tube­™ is perfect for a cost effective way to fill your window & promotional displays with interesting light. The tubes can be used individually or as a group, and can be controlled independently of each other or as a whole to suit your requirements. This means animated effects can be programmed over numerous tubes as a collective, as well as along a single tube itself. NP Tube™ – Not your typical LED tube, but much more. Hang It, Lean It, Stand It, Drape It, Wave It… Love It! 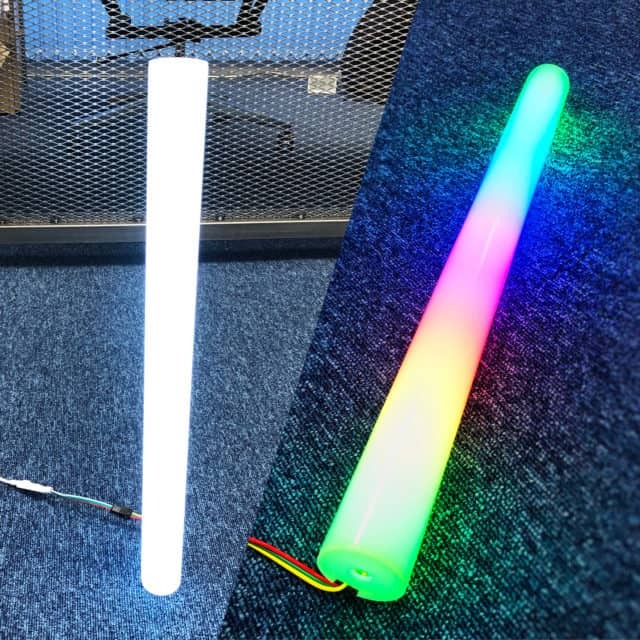 With 8 static colours, RGB, tuneable and fully digital LED options, it covers everything you would need from a light tube.